Sometimes mistaken as opal, ammolite gemstones are iridescent stones formed from the fossilized shell of prehistoric sea creatures called ammonites. Over millions of years, the shifting of tectonic plates applied pressure and mineralization, converting ammonite shells into the striking chromatic spectrum of material known as Canadian ammolite. 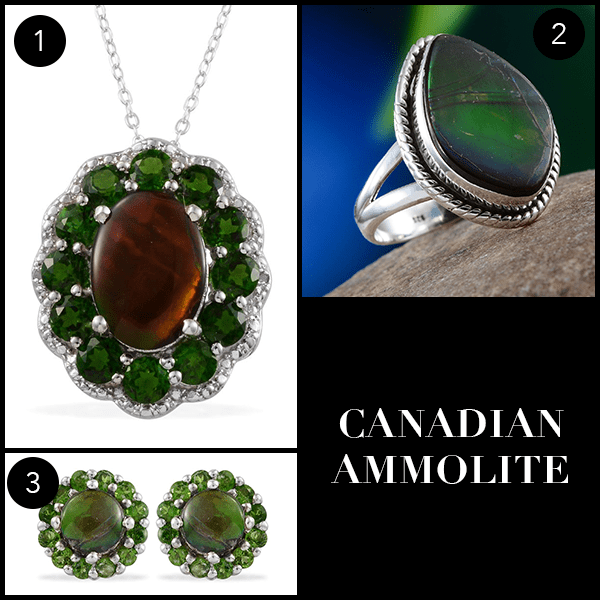 Each Canadian ammolite gemstone is unique, and every layer of color represents a layer of gemstone material. Some display interconnected-mosaic fractures resembling scales or spider webs, while others contain ribbons of color or broad areas of intense fire, seamlessly blending together. Part of its rarity is because much of the source material has suffered from decomposition due to the erosion process, making it unsuitable for gemstones. Top grades of ammolite only represent 5 to 10 percent of the gem material that is mined annually. The Korite mine in Canada produces more than 90 percent of the world’s supply. To put ammolite’s rarity in perspective, the average diamond mine produces 1.5 carats per ton of earth moved, whereas ammolite mining only produces an average of 0.6 carats per ton of earth. 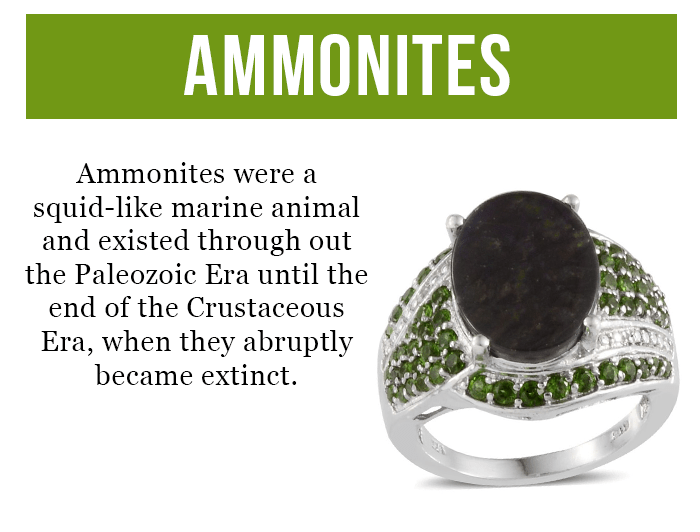 In approximately 20 years, ammolite supplies are expected to be completely exhausted. Despite its scarcity, the LC is fortunate enough to offer Canadian Ammolite at unbeatable prices! Tune in July 1 from 12 p.m. to 8 p.m. CT to see what all the fuss is about for yourself!